High potency cannabis, especially when used daily, is "strongly linked" to the risk of developing psychotic disorders such as schizophrenia and paranoia, scientists said Wednesday. In Amsterdam and London - where high-THC marijuana has long been the rule rather than the exception - 50 and 30% of new psychosis cases, respectively, were associated with potent forms of the drug. The findings, reported The Lancet, bolster a growing body of research connecting pot to a range of mental health disorders. With piecemeal legalisation and decriminalisation, consumption in North America and Europe has increased markedly over the last two decades, even as levels of the drug's mind-bending molecule, delta-9-tetrahydrocannabinol (THC), have risen four- or five-fold. 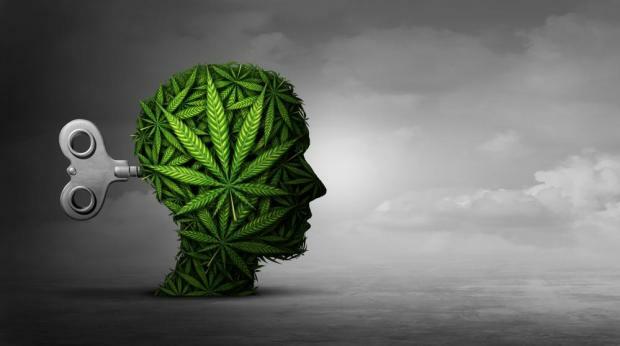 "The use of cannabis with a high concentration of THC has more harmful effects on mental health than the use of weaker forms," said lead author Marta Di Forti, a professor at the Institute of Psychiatry, Psychology and Neuroscience at King's College London. "Our findings also indicate for the first time how cannabis use affects the incidence of psychotic disorder at a population level." Across 11 European cities or regions, and a 12th in Brazil, one in five new cases of psychosis were associated to daily cannabis use, and one in ten to high potency pot, the study found. If high-THC cannabis - including strains such as "trainwreck", "gorilla glue", and "hindu kush" - were no longer available, "12% of cases of first-episode psychosis could be prevented across Europe," the researchers calculated. "As the legal status of cannabis changes in many countries and states, and as we consider the medicinal properties of some types of cannabis, it is of vital public health importance to consider the potential adverse effects that are associated with daily cannabis use, especially high potency varieties," said Di Forti. The researchers established a baseline by identifying - in the cities and regions examined - all individuals known to have experienced a first episode of psychosis from 2010 to 2015. They found 901 cases. These were then compared to 1,237 healthy adults to tease out the risk factors associated with psychosis. All participants provided information about how frequently they had used marijuana and other drugs over a period of years. The scientists also classified the potency of the cannabis consumed as either "high" (over 10% THC) or "low" (under 10% THC). In some locations, THC levels are 20% or higher, they noted. Nearly 30% of patients who had experienced a first episode of psychosis were daily cannabis users, compared with less than seven percent of those in the control group. For high potency pot, the corresponding figures were 37 and 19%. Adjusting for social factors and other drug use, the authors found that daily cannabis users were three times more likely to experience psychosis for the first time than people who had never used it. For daily use of high-potency cannabis, this increased to five times. While the correlation between marijuana use and mental disorders was strong, a cause-and-effect relationship can only be inferred, the authors cautioned. However the registrar at the Royal College of Psychiatrists, Adrian James, said the findings were to be "taken seriously," and that his institution "is reviewing the mental health effect of cannabis use." David Nutt, head of the centre for neuropsychopharmacology at Imperial College London, said it was "important to realise that THC is well known to produce psychosis in healthy volunteers - people without a predisposition to mental illness".